The Energy range is Glow-worm's new flagship ErP A rated boiler specifically designed for private domestic properties. Designed using automotive grade aluminium the Energy heat exchanger is a high quality, high efficiency product that makes the boiler not only light to install but also easy to maintain. 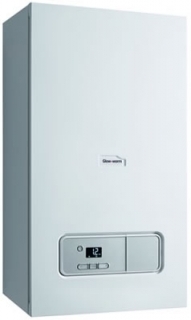 Energy is compact with a rear flue option for cupboard fit installs. Energy has a wide range of outputs and has a choice of rear or top flues, so you can install virtually anywhere - including inside a kitchen cupboard. Energy will suit every heating demand from most house types and systems requirements.